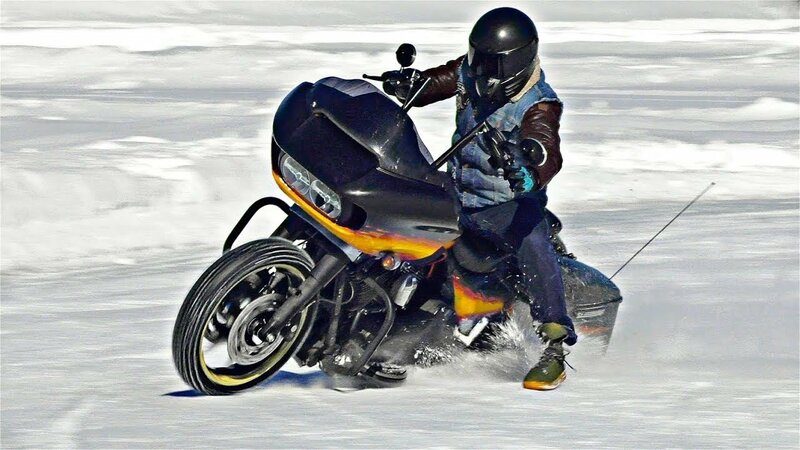 Last cold day of spring we spend with Harley, on the ice, in Moscow. We used the simplest and the most efficient way of tire studding: screws, tube and duck tape. Harley Davidson Road Glide looks good for drift on the ice. Thanks Alexander Andreev for some fun and great control!